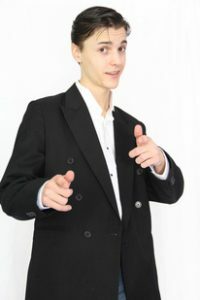 The presentation touches on many topics as they are experienced by someone on the autism spectrum who also struggles with anxiety: being socially awkward; relationships and dating; relationships with family; living independently; high school; autism parents; getting a job; getting your driver’s license; and remarks on the history of autism. Tickets will also be available at the door starting at 6:30pm, while quantities last. For more information please call: (250) 338-4288. All proceeds go to the Comox Valley Child Development Association. Michael McCreary may only be twenty-two, but he’s already well on his way to fulfilling his lifelong, albeit short, dream of becoming a stand-up comedian. • And he consulted on the TV show “Ransom” to insure the authenticity of a character with autism. 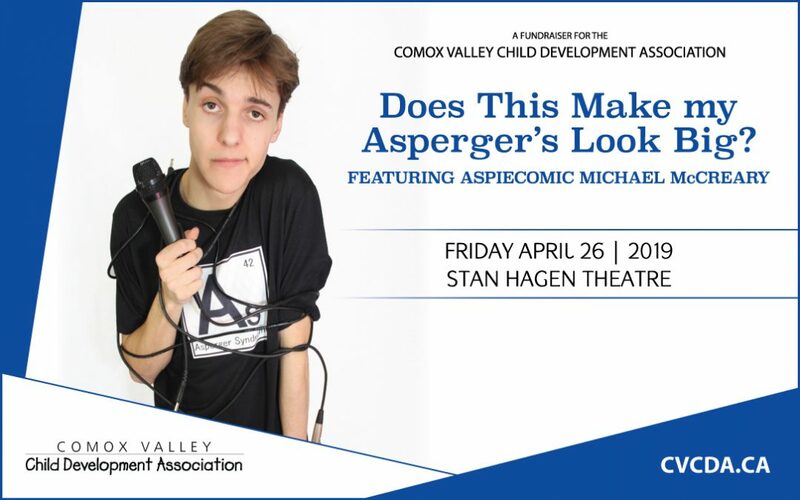 The young comic, a high school grad from Orangeville, Ontario, was diagnosed with Asperger’s Syndrome at the age of five. In an act of self-preservation, combined with the desire for constant attention and the inability to stop talking, stand-up comedy seemed inevitable. 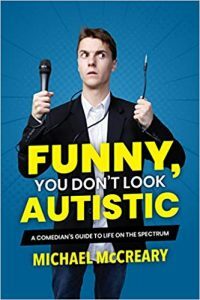 Michael’s new book, Funny, You Don’t Look Autistic: A Comedian’s Guide to Life on the Spectrum (released March 2019) will be available for purchase on site at the Stan Hagen during the event. Also, Michael will be available immediately following his presentation for a brief meet and greet, where you will also be welcome to get your book signed.